This coming Shabbath is a special day on the Jewish calendar, it is Tu B'Shevat, quite simply the beginning of a new growth year for trees. Tu B'Shevat coincides with the season in which the earliest-blooming trees in the Land of Israel emerge from their winter sleep and begin a new fruit-bearing cycle. In most cases, the earliest blooming tree is the almond tree. We mark the day of Tu B’Shevat by eating fruit, and especially grapes, figs, pomegranates, olives and dates. On the night of Tu B'Shevat (last night) many set a festive table with platters of dried and fresh fruit and nuts, and some embue the holiday with even greater meaning by participating in a Tu B'Shevat seder, originated by Jewish Kabbalists living in Israel in the 16th century. Israelis are preparing to celebrate the unique Jewish holiday of Tu B’Shevat – the New Year of Trees – with planting and celebrations all around the country. The holiday marks the beginning of a “new year” for trees in their fruit-bearing cycle in the Land of Israel. 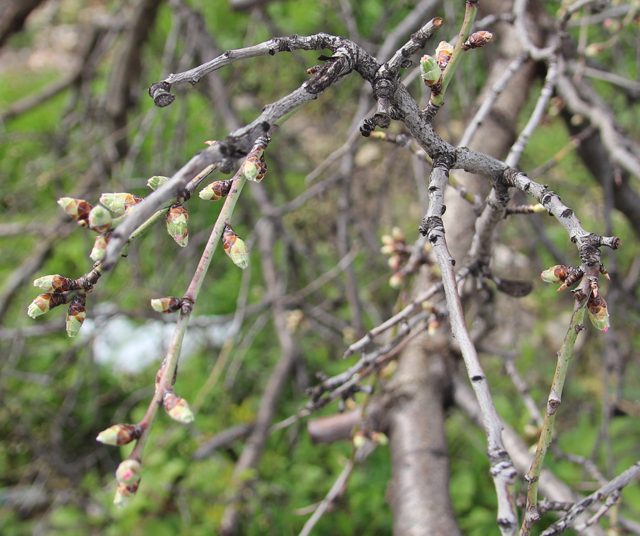 It is a time in which the earliest-blooming trees in the country emerge from their winter slumber. The holiday is also marked with a special seuda, or festive meal, which is likened by some to the Passover seder -- albeit with culinary offerings of a very different nature. It is customary to eat fruit on the holiday, particularly those praised in the Torah as part of the bounty of the Land of Israel. These include grapes, figs, pomegranates, dates and olives. This year Tu B’Shevat, the 15th day of the month of Shevat on the Jewish calendar, falls on the Sabbath, January 26, when it is forbidden by Torah law to plant. On Friday at 9:00 a.m., the Women in Green group will be planting trees in Netzer, nestled among the hills of Judea in the Gush Etzion bloc between the communities of Elazar and Alon Shvut. Gush Etzion’s Regional Rabbi Gideon Perl and Local Council head Davidi Perl will participate in the planting, organizers said. “How much love, how much yearning for our beloved land, how much work, how much hope has been invested in Netzer,” WIG co-founders Yehudit Katsover and Nadia Matar commented in a statement. For information about transportation to the site, please call Yehudit at 050-716-1818, Nadia at 050-550-0834, or in Jerusalem, Renee at 052-329-4194. On Saturday night, following the Sabbath, the Rachel’s Children Reclamation Foundation headed by Evelyn Haies will hold a Tu B’Shevat Melave Malka holiday celebration at Beit Bnei Rachel, next to Rachel’s Tomb within the walled complex. Among the activities will be a special Torah class for “singles and couples” plus a festival meal with music and singing with vocalist Dov Shurin. A shuttle bus will leave the Kings’ Hotel in Jerusalem at 7:00 p.m., but participants must register at 054-224-2649.